The NFL Scouting Combine released its list of invites today, and there weren’t any real surprises on UCLA’s end. Brett Hundley, who set multiple school records in three seasons as a starter, was included — the mild kerfuffle over his Senior Bowl absence having not knocked him off his status as the consensus No. 3 quarterback in the draft. So too were defensive end Owamagbe Odighizuwa and linebacker Eric Kendricks, who represent the Bruins’ other chances to produce a first-round draft pick for the third year in a row. 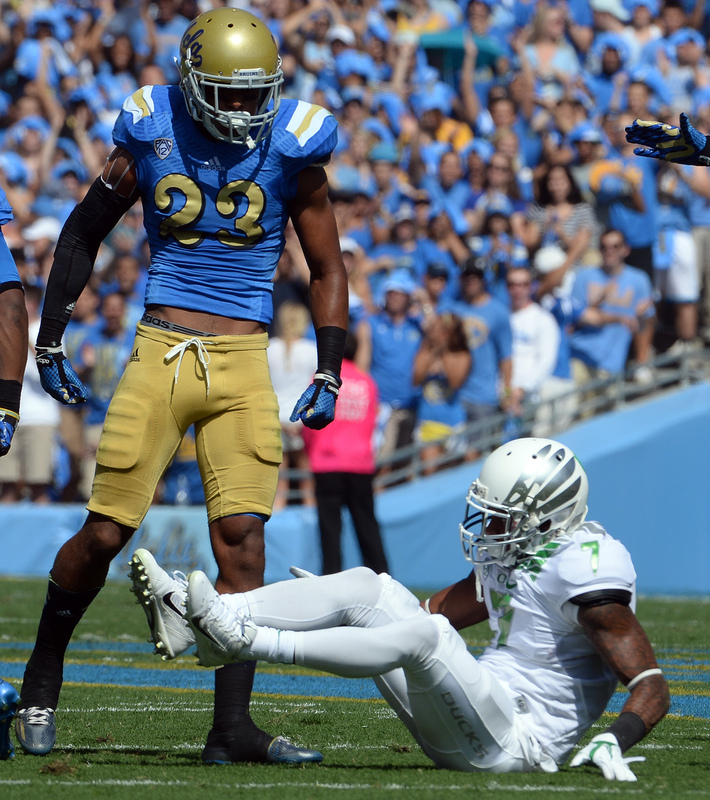 UCLA defensive back Anthony Jefferson stands over Oregon receiver Keanon Lowe after making a tackle at the Rose Bowl during the Bruins’ 42-30 loss on Oct. 11, 2014. Quarterback Brett Hundley declined an invitation to the Senior Bowl, but another UCLA player became a late add to the all-star roster: defensive back Anthony Jefferson. Spending time at both corner and safety, Jefferson made 72 tackles and eight pass breakups this season, ranking third and first for the Bruins, respectively. 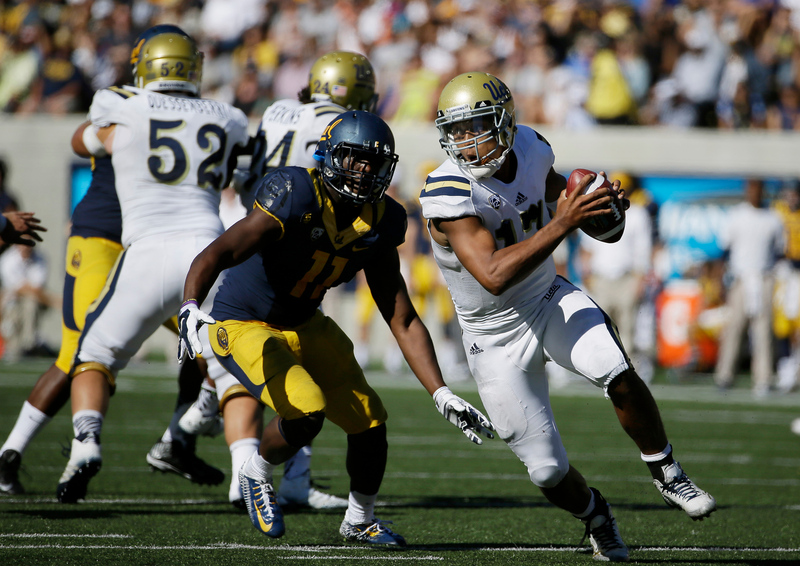 The 6-foot-1, 192-pound defensive back was one of six UCLA players to make the All-Pac-12 second-team defense. UCLA defensive coordinator Jeff Ulbrich — as well as Eric Kendricks, Anthony Jefferson, Myles Jack, Kenny Clark and Owamagbe Odighizuwa — talked to reporters on Dec. 30 to preview the Alamo Bowl.